As a recent graduate, you are likely to be entering the job market with little or no direct experience. Given that so many people are caught in seemingly endless cycle of needing experience to get a job but needing a job to gain experience, it can be quite a relief when someone finally gives you a chance. But that doesn’t mean that you need to say ‘yes’ to everything or place yourself in a vulnerable position of people taking advantage of you. In fact, these qualities can be more detrimental to your career than beneficial. Developing communication skills help in any job but assertiveness skills all too often get bypassed and are frequently mistaken for only being suitable for those entering leadership based positions. Truth is, without these skills you are likely to be in a position where more work is expected of you for very little pay which could actually stop you from progressing in your career. Here are 5 simple tips on how to increase your assertiveness and communication skills particularly in the workplace. 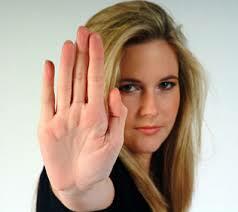 Saying no can be one of the hardest things to say, especially to a new employer who wants you to do something. But, you should go by the philosophy that, it is better not to do a job than to do a bad job of it. So, if your boss asks you to do something which is outside of your skill set and/or you simply won’t find the time for, you are better explaining that on this occasion it may be better for someone else to take it rather than delivering a poor quality piece of work. This is not to say that you should have the mentality of only sticking to what is in your job role – although this is important to bear in mind when at work, the reality is that you will probably be working as part of a team and sometimes, that means being flexible with what you do within your role. The key to success with this is to find the perfect balance and to communicate using diplomacy. Honesty really is the best policy – most of the time. Sometimes, honesty is still needed but the timing of being vocal about it needs to be reconsidered. Being able to find a way to communicate honestly, no matter how harsh what you think is, is quite an art form and is one that is well worth developing for both in and out of the workplace. Speaking your mind can be quite daunting – what if people think what I am saying is stupid? What if I anger someone by being honest? It can place you in quite a vulnerable position but, if you can find a way of saying it so that you clear and firm but not offensive, you are majority of the way there. They say practice makes perfect and they, are absolutely right! Different situations lean on different communication skills so the only way to develop them is to keep practicing. This is not to say that you should overthink every time you speak but a heightened awareness and concerted effort will certainly help you make progress. Body language is a huge contributor to communication, so if you do not take it into account when communicating with someone, you miss out on a lot of messages that you do not receive verbally. By being more aware of body language and how different actions come across, you will ensure the right messages is communicated through yours and also enable you to better read the body language of others; giving you an advantage of sorts. Some of the best ways to handle situations can be learned from other people – you will know what not to do from those who communicate badly and what you should do from those who are effective. Always keep your ears and eyes open and keep learning! I once had a manager who fired someone but the person who got fired, left the room with a smile on his face. Why? Because the manager told him that he felt he would be fantastic working in another team but perhaps this one is not quite working for him. An example of how excellent communication skills can be assertive without causing offense or hurt. Campus to Career thanks Nick Williams for this great post! About the author: This article on assertiveness and communication was put together by Nick Williams. Nick writes a lot around the topics of technology, communication and graphic design. Nick works at Acuity Training who have multiple hands-on assertiveness training courses as well as IT and management programs. These are really insightful, especially the one tip about not taking on every project that is given. I learned quickly when to say no because of a task being outside of my skill sets.